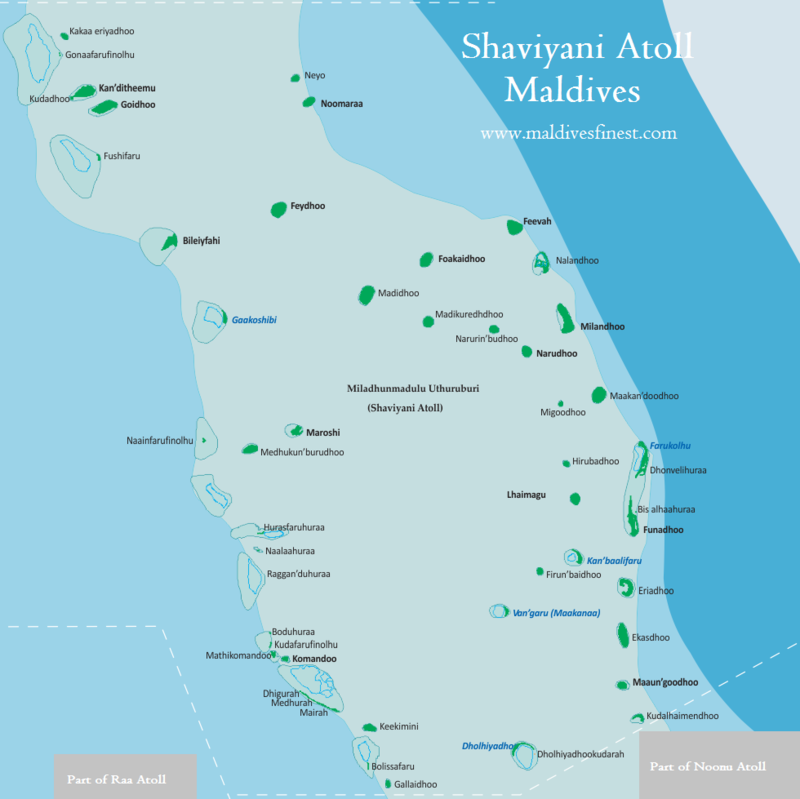 Located north of Noonu Atoll, Shaviyani Atoll is known to have many remote islands in the atoll. Currently there is no airport in this atoll. There are few resorts under development.